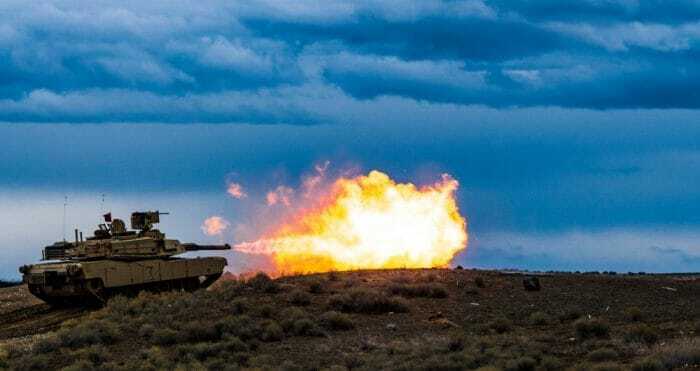 Army, Marine, Reserve, and National Guard tankers regularly get to head to the range to stay proficient with the big 120 mm tank gun, which packs a wallop. 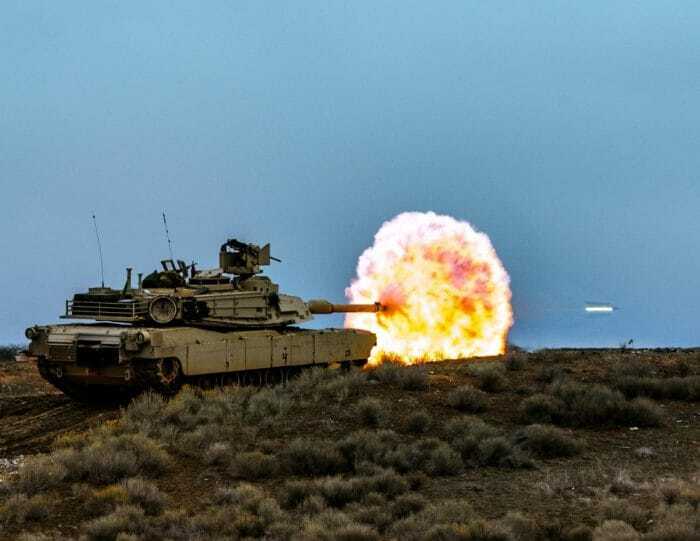 The German-designed gun (they learned a few things about tanks over the years) originated with Rheinmetall in the 1970s and equips most M1 Abrams main battle tanks as well as the German-made Leopard 2. 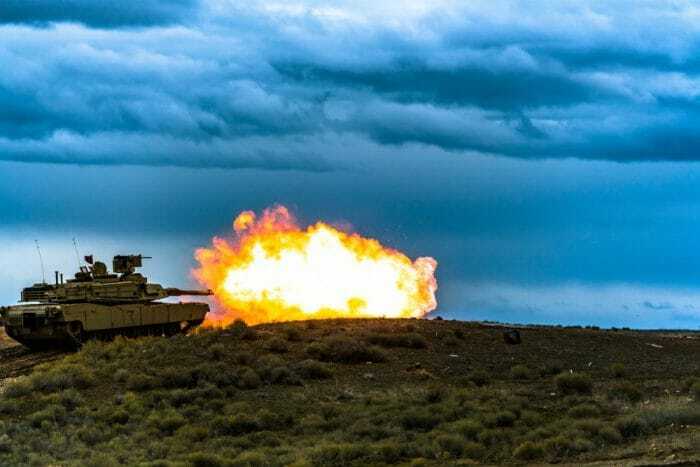 Smoothbore, the nearly 18-foot long gun has a 4,000m range and can fire everything from tank-eating sabot rounds to the M1028 Canister round, the latter filled with hundreds of tungsten balls that effectively turn a tank into a 73-ton mobile shotgun. 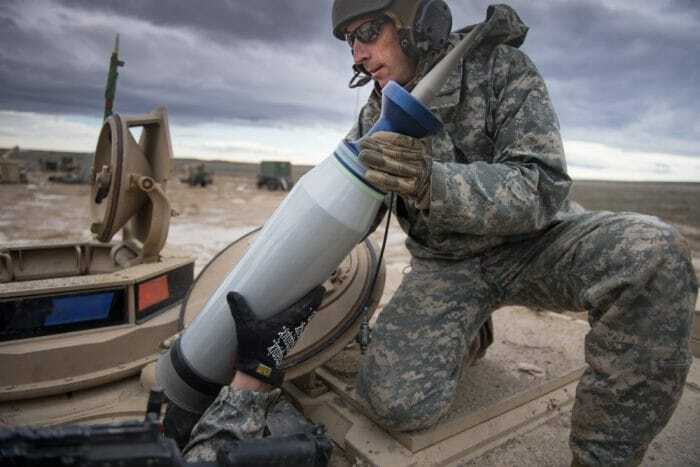 As shown in the above video from the 1st Infantry Division, the effects of the 120mm gun can be dramatic. 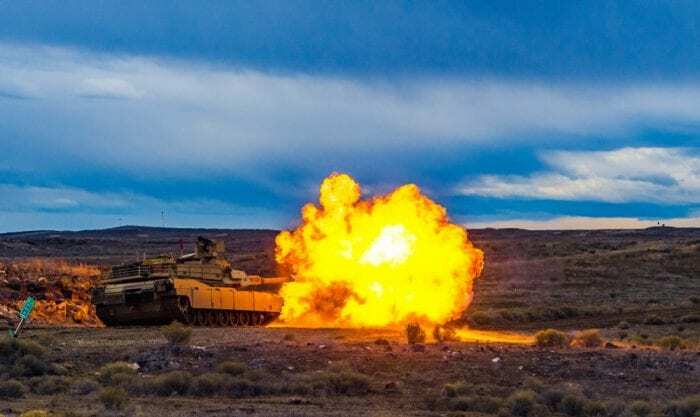 For a more quiet majesty, check out the below of a recent shoot by the 116th Cavalry Brigade Combat Team of the Idaho National Guard, earlier this year at the Orchard Combat Training Center. 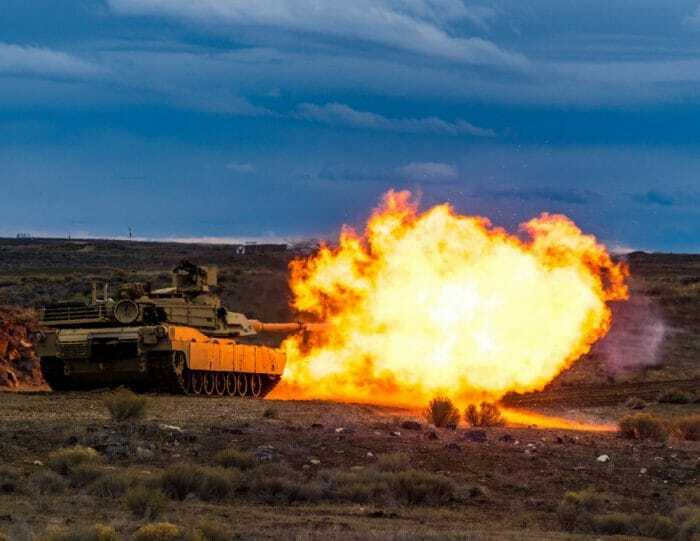 As a bonus, attributed to the big tank’s gas turbine engine, the Abrams also doubles as a mean BBQ grill, as long as you are good with that good ole JP8 smell.